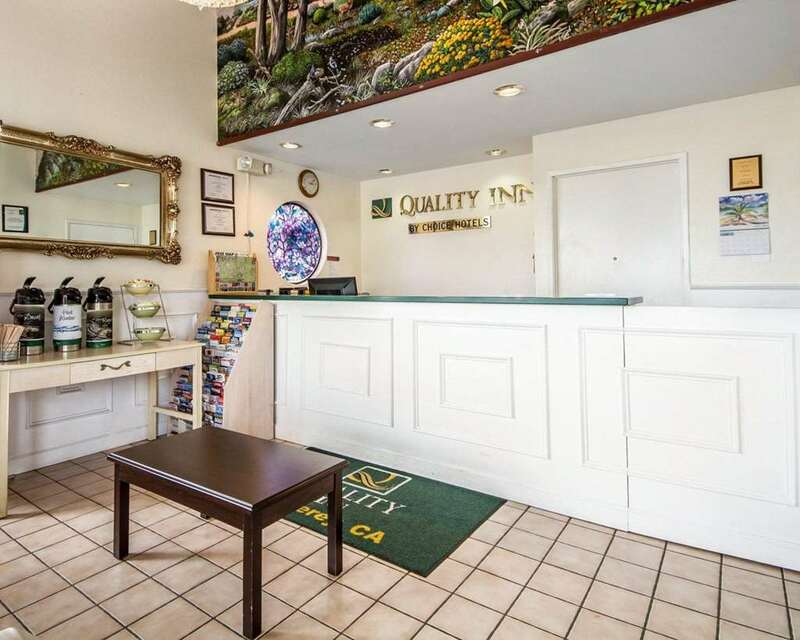 The Quality Inn hotel in Monterey, CA, gives you real value with peace of mind. Our hotel is near Monterey Bay Aquarium, Cannery Row and Fisherman's Wharf. Our valued guests enjoy amenities that include free continental breakfast, free WiFi, free coffee, free weekday newspaper, an outdoor pool, guest laundry facilities and a business center with copy and fax. Our parking accommodates buses, trucks and RVs. Each inviting guest room features a refrigerator and microwave. Your Q Bed includes a comfortable, premium mattress and linens, fluffy pillows and a soft, plush blanket. Also, earn rewards including free nights and gift cards with our Choice Privileges Rewards program.